Green activists are destroying our economy and dividing our communities by demanding more and more LOCKED UP LAND! Political groups are playing with the Australian way of life and want to lock away huge tracts of land by turning many State forests and public land, into closed National Parks. There is clear evidence that restrictive, mis-managed National Parks, puts our wildlife at risk from feral animals, flora, fauna and country communities at risk from wildfires and DO NOT BOOST THE ECONOMY! Horse-riding, camping, prospecting, trail-bike riding, 4WDing, picnicking, firewood collection, fishing, hunting, timber harvesting, mining, grazing or just walking your dog – you will be negatively affected by the creation of a Park. Rural economies CANNOT have visitor numbers to these areas reduced by Locking away these lands! These families are struggling and need BUSH USER GROUPS to keep supporting their communities! HOW WILL THAT HAPPEN WHEN THESE AREAS ARE LOCKED UP?? 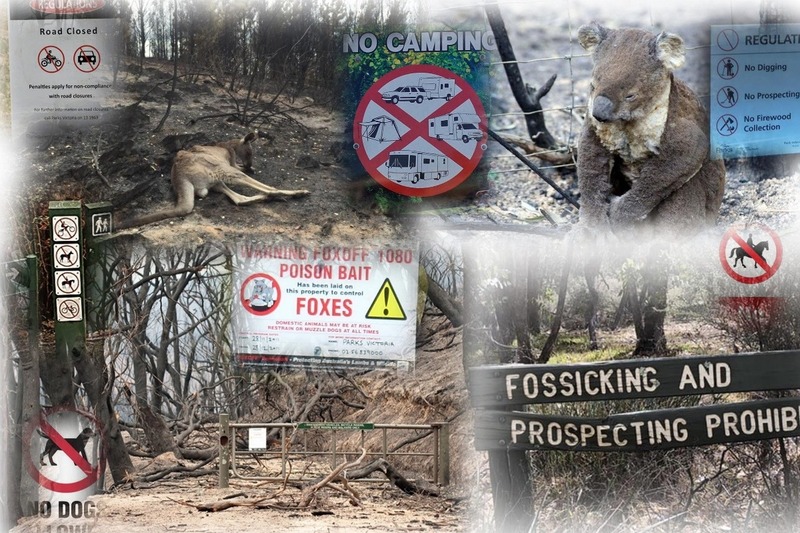 Help us keep the great Australian freedom of bush access by donating and helping us stop this madness. 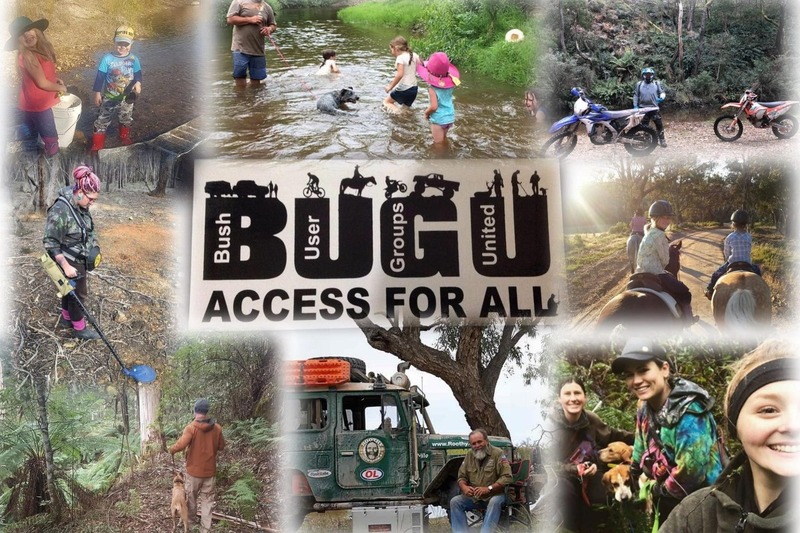 Bush User Groups United believes there is a better alternative. We need a Multiple Land Use management system which allows for protection of conservation values in sensitive areas whilst allowing for economic and recreational values to be utilised in less sensitive areas of public land. Your donation will help us pay for advertising to get the FACTS and information out to the public. We demand to be heard and not ignored. The influence of green groups on Government policy is out of hand; it is stifling economic growth and our freedoms. Public land and water management is being manipulated by city based, green activists in positions of influence. It is time this stopped and the people be heard. We are planning a public awareness campaign to ensure the public is fully informed on what a change of land category means, something that our politicians and bureaucrats have failed to do. We will make this an election issue in Victoria’s State Election in November so need all bush and water users to please consider donating. There are currently campaigns by green groups to create new Parks over hundreds of thousands of hectares of the goldfields, the Central Highlands, Central and East Gippsland and coastal areas. Even when the election is over, we will still be working to stop the creation of more restrictive National Parks. Decisions on public land use should be based on common-sense and science, not green politics. Thank you for your help and your donation.